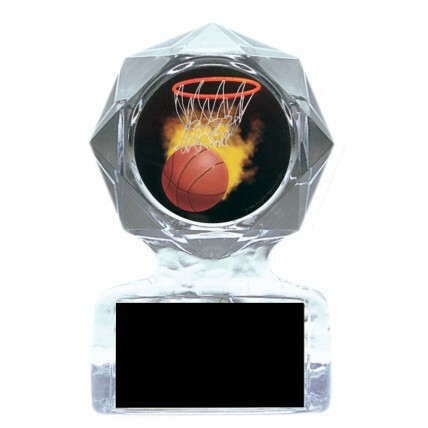 Blaze a trail of glory with these awesome Hot Shot Basketball Acrylic Star Trophies. 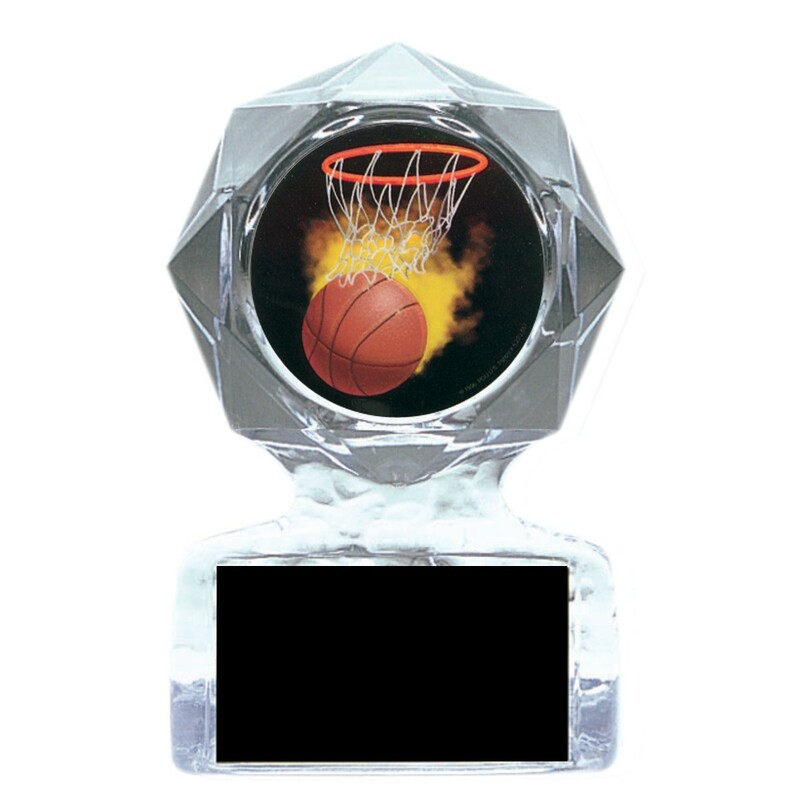 This flaming hot trophy features a full-color holographic flaming ball and hoop, encased in a classy clear acrylic star. Reward the hottest player with this flaming basketball trophy.